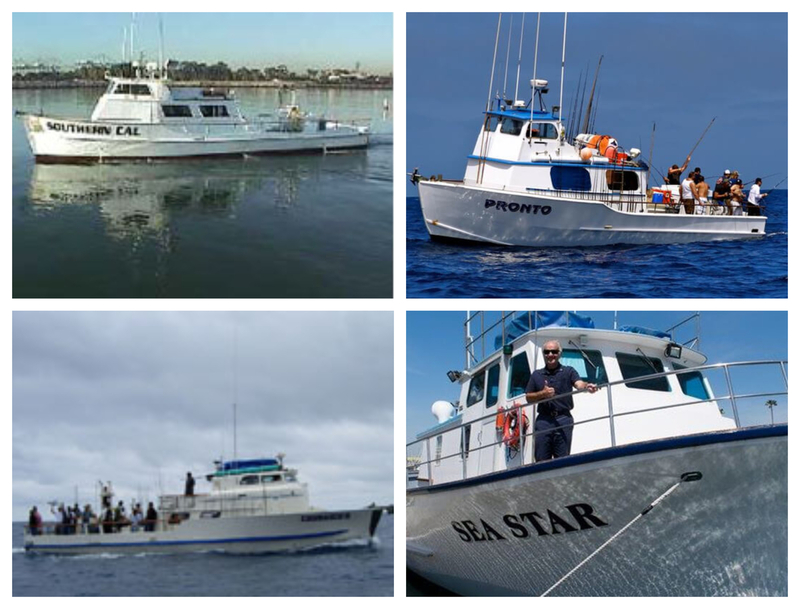 Oceanside Sea Center has 5 boats to meet your needs. 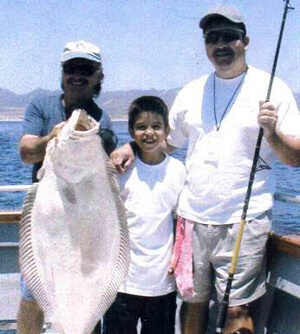 We offer fishing, whale watching and burials at sea. Please contact us for a private charter. 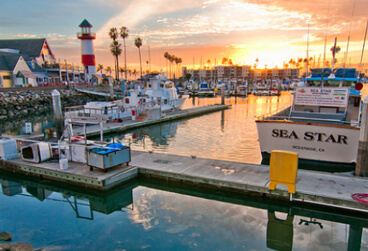 Oceanside is a wonderful place to go Whale Watch. 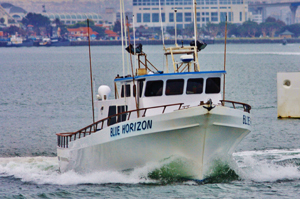 During whale season we offer daily trips and we also have boats available for whale watch charters. Please inquire about our Floating Science Programs. 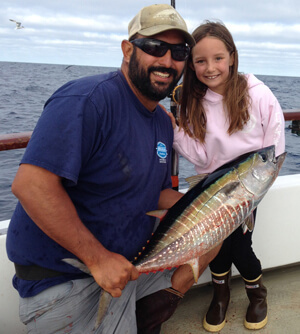 We can help teach youngsters about Marine Biology and our Oceanside Harbor marine environment. 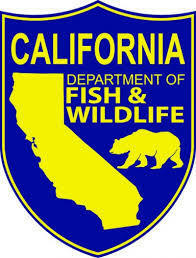 It's time to get your 2019 California fishing license and the Oceanside Sea Center tackle shop is a license agent that has the privilege of selling them onsite. Our tackle shop carries everything that the pier/bay fishermen would use to the angler that has everything in his tackle box. 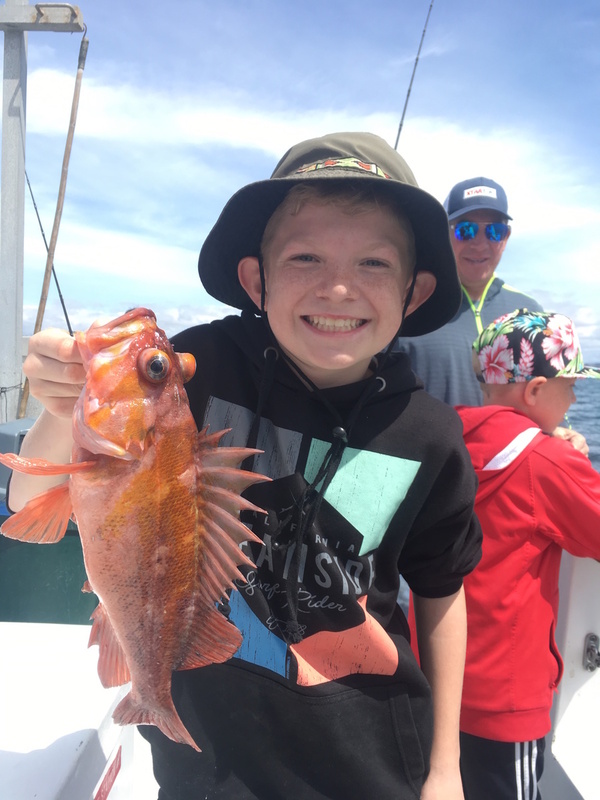 Izorline mono/fluoro carbon, Hookup baits, AA plastics, Candy Bar lures, Mega Baits, Mustad, Owner, Gamakatsu hooks and frozen bait to name just a few and of coarse the exclusive Oceanside Sea Center apparel. It sure seems like the whale watching is getting better and better. 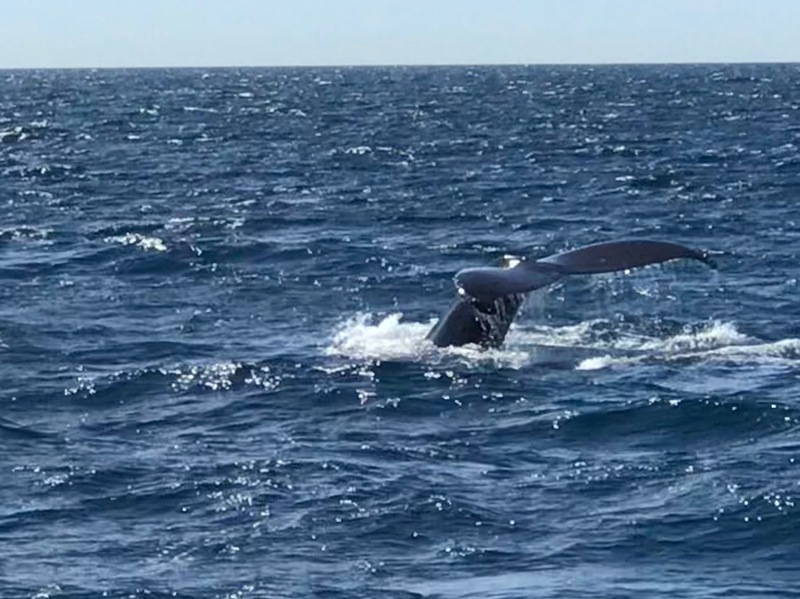 Today we had two northbound Grey Whales along with their newly born calf and to top of the show we had a couple hundred common dolphin come and play with the boat. 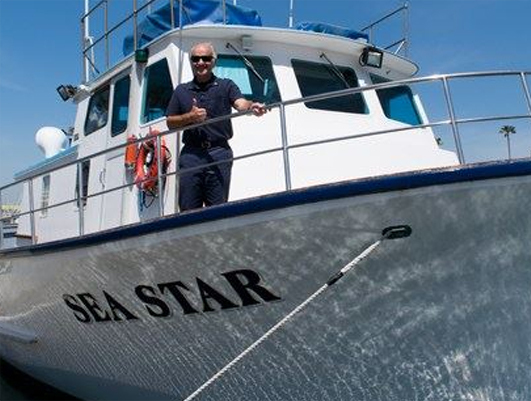 “This past week has been incredible,” said Captain Jim Sharp. The ocean is gorgeous and the weekend is forecasted to be in the mid 70’s to 80 degrees. 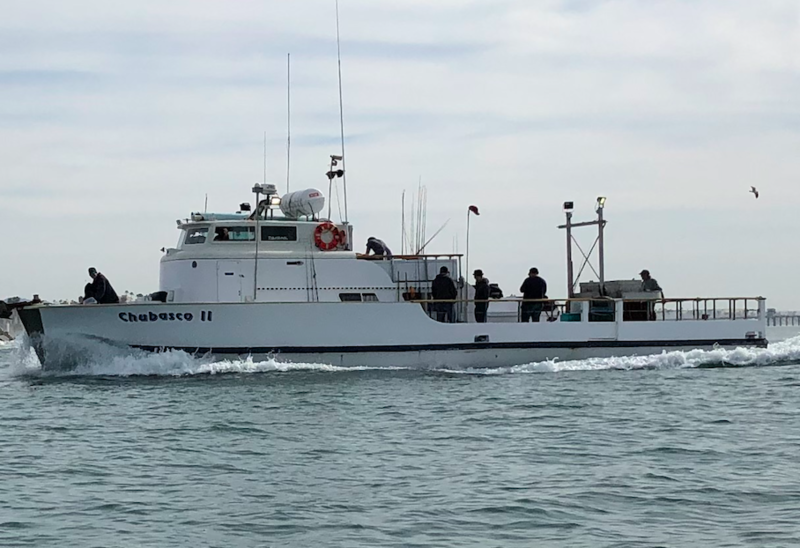 Unlike any other landing experience, we have put our emphasis on highlighting marine stewardship through a partnership with the Pfleger Institute of Environmental Research (PIER), a non-profit research group based in Oceanside that supports sustainable recreational and commercial operations. 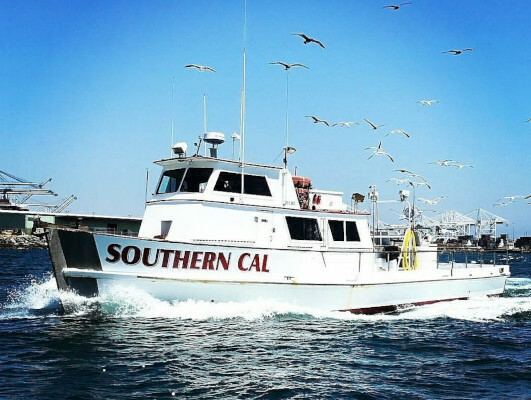 The Sea Center brings together Captain Joe Cacciola of Sea Star Charters and Captain Ernie Prieto of Chubasco Sportfishing to develop a new landing experience in Oceanside Harbor. 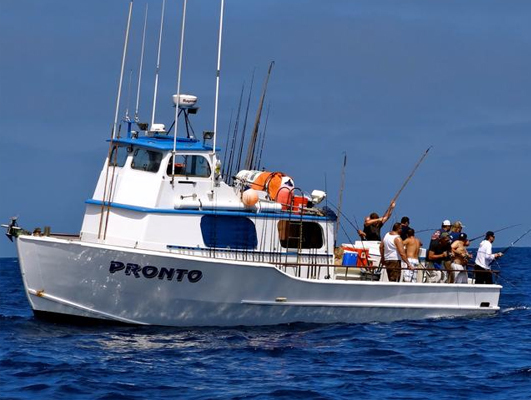 The landing will continue to offer traditional open party sportfishing trips with an emphasis on customer service, community involvement and the consistency you deserve. 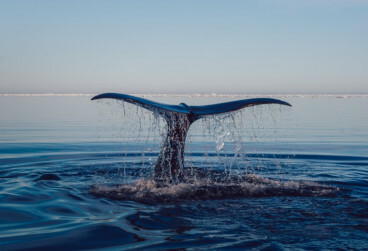 The Sea Center will also offer an array of activities for all age groups, including whale watching trips, eco-tours and floating science programs. 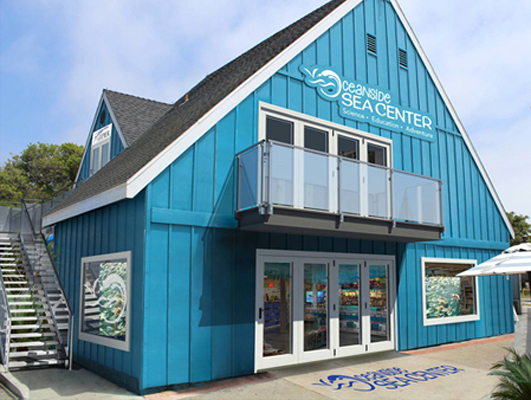 The Center will place emphasis on highlighting marine stewardship through a partnership with the Pfleger Institute of Environmental Research (PIER), a non-profit research group based in Oceanside that supports sustainable recreational and commercial operations.